MainAll NewsUS & Canada"I wish Ivanka, Jared hadn't come to my father's funeral"
"I wish Ivanka, Jared hadn't come to my father's funeral"
Meghan McCain, daughter of the late senator and Republican presidential nominee, says Ivanka and Jared Kushner crashed her father's funeral. 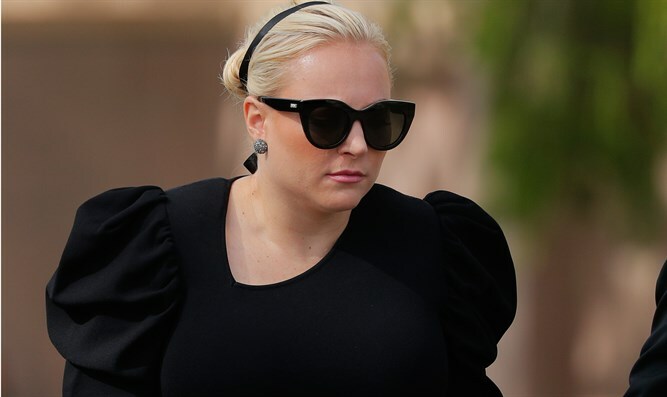 Meghan McCain, the daughter of the late Arizona Senator John McCain, slammed Jared Kushner and Ivanka Trump for attending her father’s funeral last year saying the couple were not only uninvited, but their presence there was unwelcome and even disturbing. During an interview with Stephen Colbert Thursday night, McCain said that no one from the Trump family should have attended the funeral, and that she resented the presence of the president’s daughter and son-in-law. "I thought that my family had made it clear, or at least I had, that the Trumps are unwelcome around me, and that my father had been sort of very clear about the line between the McCains and the Trumps," said McCain. The View cohost even expressed hope that her eulogy during the funeral, in which she denounced “cheap rhetoric from men who will never come near the sacrifice [John McCain] gave so willingly”, made Ivanka and Jared feel uncomfortable. “I was surprised when they were there. And it made me uncomfortable, and I hope I made them uncomfortable, honestly, with everything." Leading up to and during the Republican primaries, President Trump and Senator McCain traded jabs, beginning with McCain’s criticism of Trump’s comments on immigration in June 2015 and culminating with the senator dropping his support for the 2016 Republican nominee in the general election. The feud escalated during the summer of 2015, with McCain mocking Trump’s supporters as “crazies”, and then-candidate Trump responding with a tweet labelling McCain a “dummy”. While McCain endorsed Trump following his nomination in 2016, he withdrew support in October.